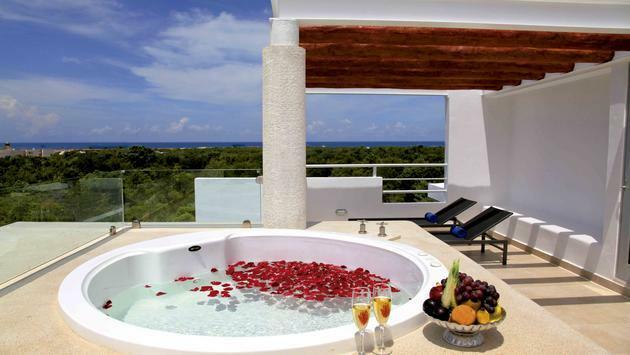 Penthouse luxury at Bahia Principe Sian Ka'an. Targeting the adults-only clientele, the luxurious five-star hotel Luxury Bahia Principe Sian Ka'an is the perfect option for travelers looking for an all-inclusive experience, combining luxury and authenticity in the heart of the Mayan jungle. 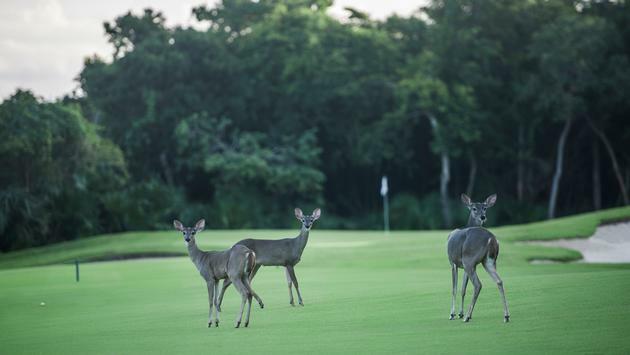 It’s also great for amateur or professional golf players, as the complex overlooks the Riviera Maya Golf Club, one of the most prestigious in the Caribbean. Following the invitation of Bahia Principe, TravelPulse Canada had the chance to stay in one of the 420 rooms of the complex that opened in 2011. Located about an hour from Cancun’s international airport and 20 minutes away from the ruins of Tulum, it’s the latest complex from the chain to have been built on the Riviera Maya. "What's interesting about staying at the Luxury Bahia Principe Sian Ka'an is that the customers have access to the facilities of the other three Bahia Principe resorts on the Riviera Maya, which include the Grand Bahia Principe Tulum, the Grand Bahia Principe Coba, as well as the Luxury Bahia Principe Akumal, ideal for destination weddings," Helen Montijano, vice president of sales, North America, for Bahia Principe hotels, said in an interview with TravelPulse Canada. 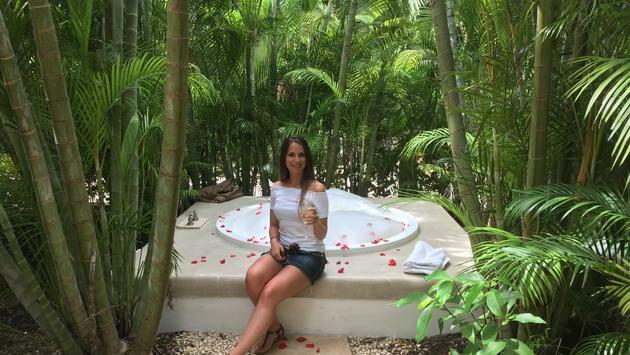 Montijano describes the Sian Ka'an as an oasis of calm allowing the guests to enjoy the luxury services offered by the hotel in a green environment, in total harmony with nature. "The Luxury Bahia Principe Sian Ka'an is unique because it is the only one of the chain in the Riviera Maya to be dedicated to adults only. The quality of service is higher than in the other complexes. We have wait staff at the pool, unlimited a la carte dinners, and butler service for certain room types, "she said. Three room categories are available, including the penthouse and the standard suite, both of which include a Jacuzzi and 24-hour butler service to meet guest needs. Another important point to mention: although the Sian Ka’an is the only Bahia Principe hotel on the Riviera Maya not to be located directly on the beach, it has a section of private beach, accessible through a shuttle, where guests can enjoy a drinks service and other special inclusions. When staying at the Sian Ka'an, guests can opt for one of the ecotourism tours that the chain Bahia Principe offers through its destination management companies: Soltour and Coming2. One of them, called Coba, consists of a visit to the ruins of Coba and Tulum, as well as a swim in a cenote and a visit to an authentic Mayan village, Ahau Chooc, which opened its doors to the public three years ago. By going there, one can taste hand-made tacos made onsite by Mayans in typical houses and learn more about the agrarian practices of this ancient civilization, which continues to fascinate tourists from around the world today. "Within the resort, we also have a section called Eco Bahia, which is a protected area in which we protect species. We are very hand in hand to protect the turtles that come to nest in our area. It’s our key focus and it’s also a very popular attraction for tourists. That is something very unique to the resort," said Montijano, adding that the environment was at the heart of Bahia Principe's concerns, which promotes activities focused on the protection of wildlife and flora. Another point distinguishing the Luxury Bahia Principe Sian Ka'an is its unique golf club; alongside the jungle and with cenotes and lakes. An added value is that guests staying in one of their hotels can save up to 50 per cent on greens fees for a round of nine or 18 holes. On top of having access to private lessons, guests at the Riviera Maya Golf Club can also enjoy the facilities, including showers, bathrooms, a small buffet, and, by the end of the year, a tennis court and a swimming pool. 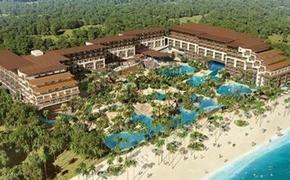 Click here to learn more about the Luxury Bahia Principe Sian Ka'an.